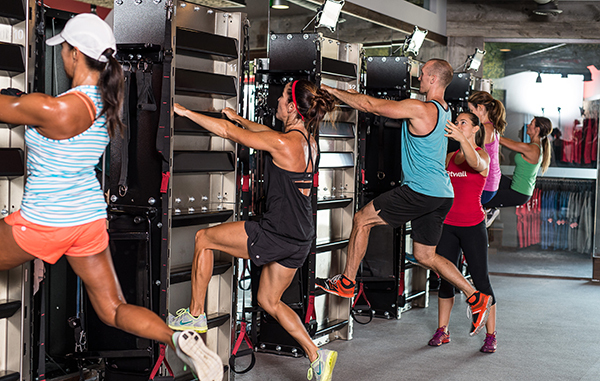 The Fitwall fitness concept dedicates part of the class to a wall-mounted ladder workout. Photos courtesy of Fitwall. A California fitness franchise is climbing into Mile High country. La Jolla, California-based Fitwall will launch its first Colorado location this fall in a brand new mega apartment complex on Speer Boulevard. The company holds group workout classes, similar to CrossFit or OrangeTheory, but uses wall-mounted workout equipment and shorter classes. 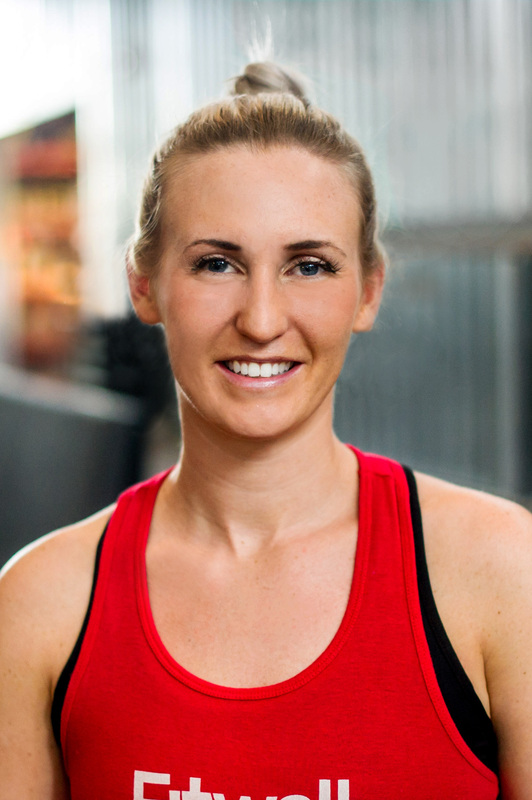 Franchisee and Highlands resident Megan Busby said she hopes to open her Fitwall studio this fall. Busby chose the 2,100-square-foot facility at 2785 Speer Blvd. because of its central location and the demographics of the Highlands neighborhood. It’ll cost between $400,000 and $500,000 to build the gym, Busby said. Around $150,000 of that will be construction, $30,000 will go toward furniture and $15,000 for new computers. Busby also needs to buy 18 Fitwall ladder machines at $5,000 apiece. Golden architecture firm Studio DH drafted plans for the building. Busby hasn’t yet hired a contractor for construction. Franchising fees include an initial $45,000 payment, 3 percent of revenue for royalties and another 2 percent of revenue in marketing fees. Fitwall has two major advantages over its group fitness competitors, Busby said: shorter workouts and a higher student-to-instructor ratio. Busby said she plans to hire five employees: one head trainer and four other coaches. Each class has one coach to lead exercises and another that walks around the room checking customers’ form. The Fitwall device is similar to a wall-mounted ladder with an iPad on top that leads the member through a workout. Busby, 29, is a graduate of the University of Denver’s MBA program. Born in Steamboat, she grew up a gymnast and runner before branching into newer fitness concepts.